Don’t let cold and flu season hit you unprepared! 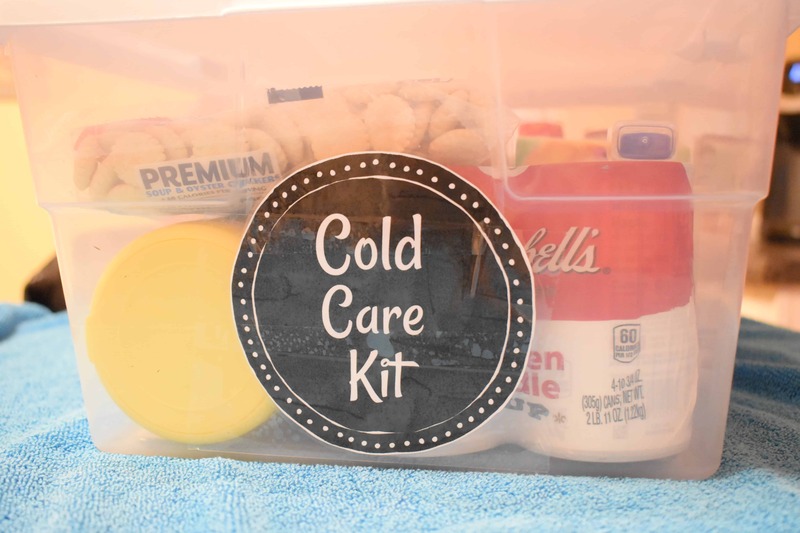 Keep this cold care kit in your house to be ready for when germs hit! Brrrrr! Winter is upon us, and we all know what that means, cold and flu season!! As much as I try to avoid people who are sick, keep my immune system healthy, and keep from getting the cold or flu in the first place, sometimes it’s unavoidable! 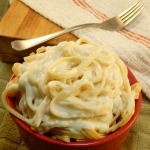 In a family of 5 sometimes I can avoid it but my hubby or boys get sick. One thing I hate when I’m sick or a member of my family is sick is being unprepared. It’s no good to wake up with a stuffy head and have no tissues or medicine on hand. Scrambling and digging through the medicine cabinet to find the thermometer in the middle of the night is a pain when your child has a fever. 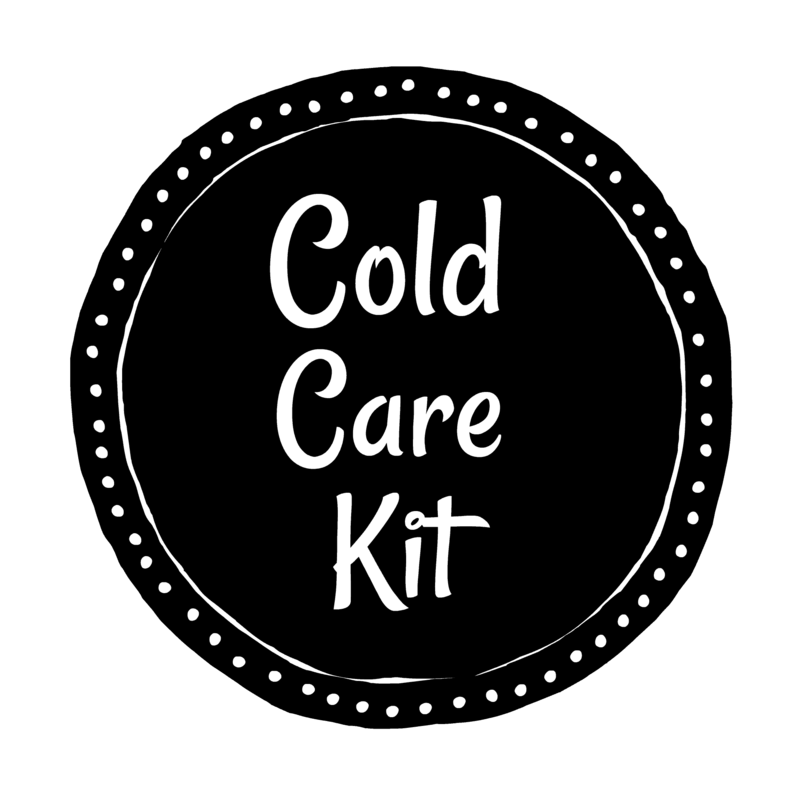 So I decided to put together a cold care kit. This kit has everything you need for when the cold or flu strikes! You can put it together keep it in a handy tote so that no matter who is sick you have everything on hand that you need! You can pack everything into a sweater size storage box, and print out my cute label so that it is easy to spot and grab when you need it! 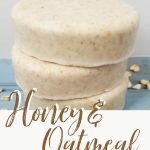 To me there are total essentials for surviving germs and here are my recommendations for filling this kit up with everything you need to recover quickly! #1- Campbell’s® Chicken Noodle Soup- If you’re like me nothing makes you feel better when you’re sick like a bowl of chicken soup. When I’m feeling sick I crave things that bring me the warmth and comfort of home and Campbell’s® always hits the spot. I like to pick up a 4 pack so that the care kit is well stocked! 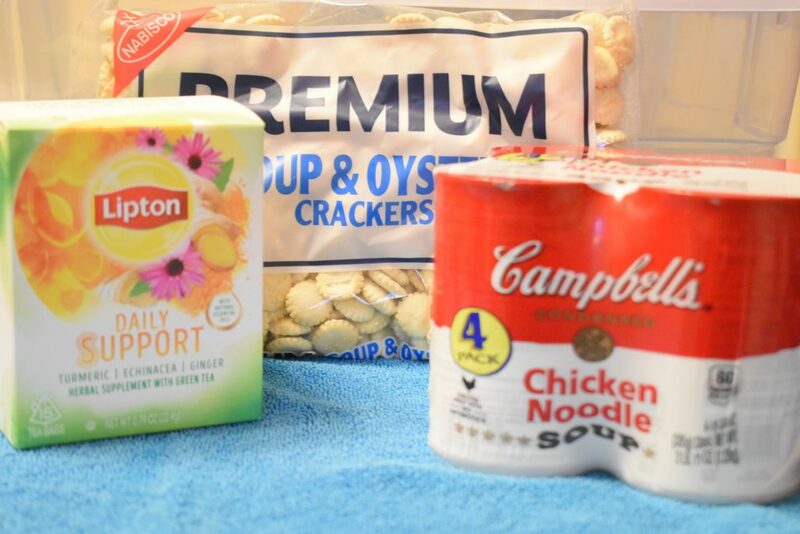 #2- PREMIUM Crackers- Nothing accompanies chicken soup like a delicious saltine or oyster cracker! When my kids are sick often the only thing they want is Premium crackers so I always want them on hand for cold & flu season! 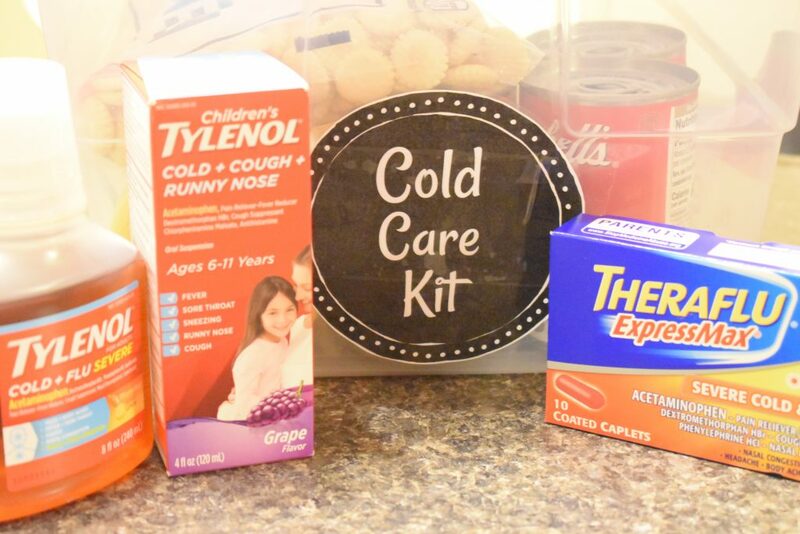 #3- Cold & Flu Medicine (for adults and kids) – When you’re putting together a cold care kit you want to make sure you cover all the ages in your family! 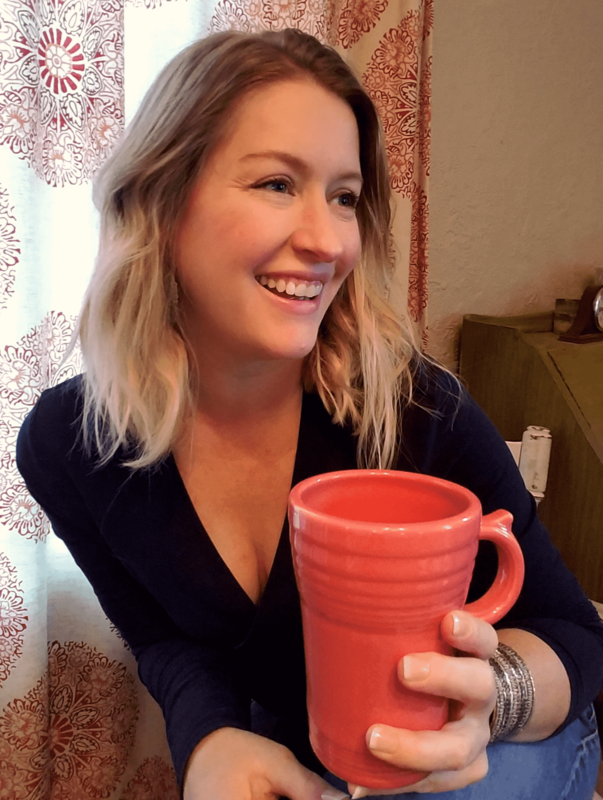 For the adults in our family we love Theraflu ExpressMax Severe Cold & Flu Caplets , it’s powerful relief without a prescription helps relieve symptoms in no time! 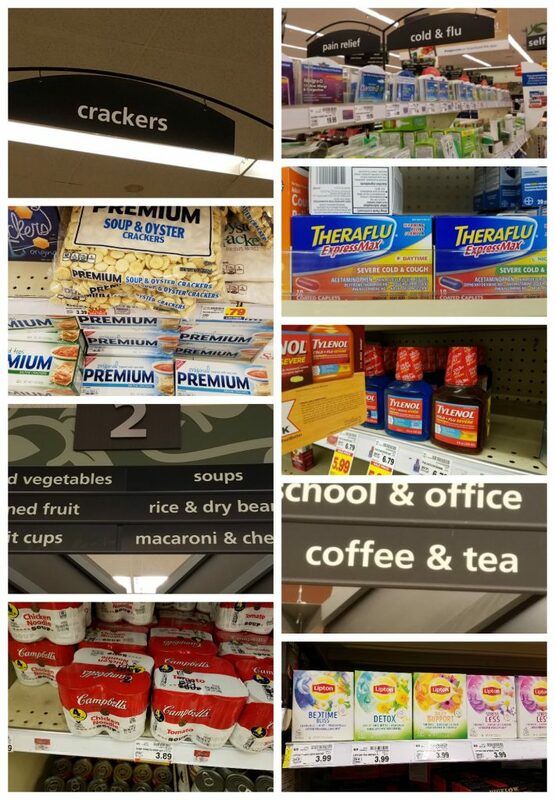 We also love TYLENOL® Cold + Flu Severe Warming Honey Lemon and for the kids Children’s Tylenol + Cold Multi-Symptom Grape. Both products tackle cold and flu symptoms and let give you quick relief! #4- A Thermometer – This is a total must have! I just like a simple digital thermometer but if you prefer one that goes in the ear on on the temple grab one and put it in your kit! 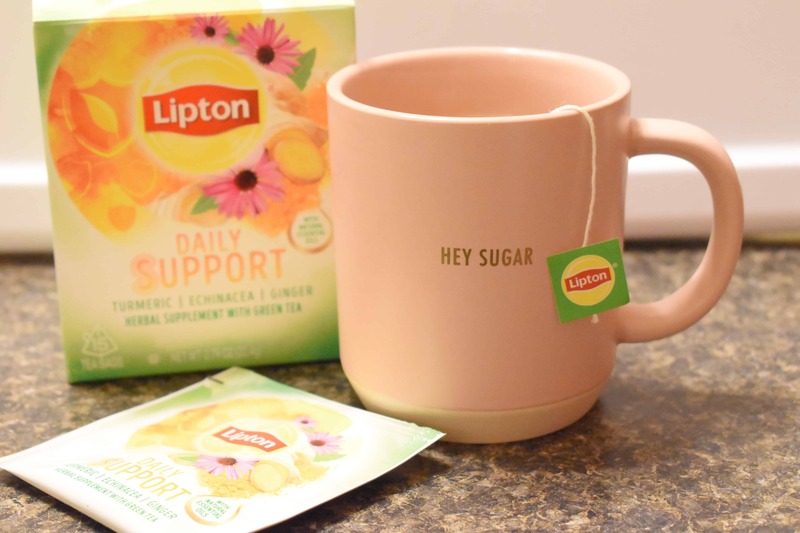 #5- Lipton Tea- Lipton has always been my favorite brand of tea and their new wellness range of herbal supplements boosted with botanicals are a must have in a cold care kit! 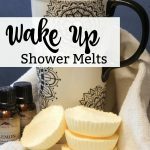 I love the Daily Support a Turmeric, Echinacea, Ginger Herbal Supplement with Green Tea, but their Bedtime Bliss or Soothe Your Tummy would be perfect to have on hand all winter long! #5 – Tissues – Oh the amount of tissues my family can go through if we are all sick!! I love to pick up the ones with lotion for sore noses! 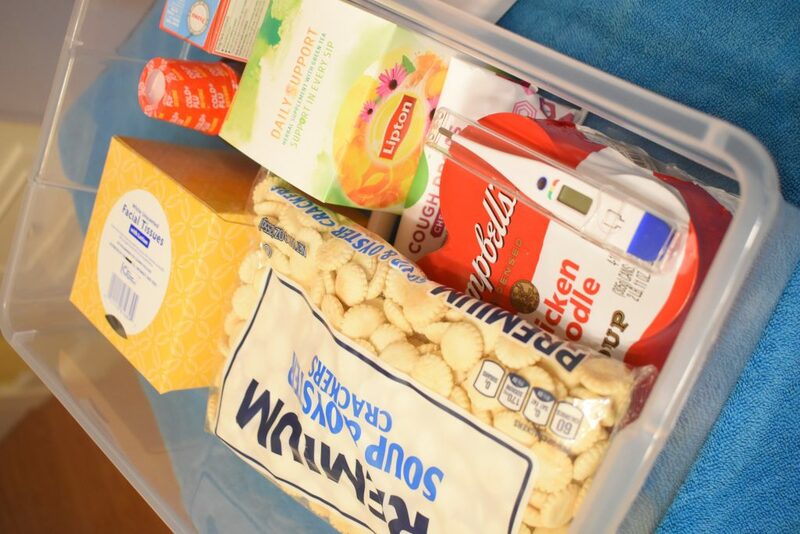 Pick up a box to have in your care kit so that you don’t get a sore nose before you have time to run to the store! #6- Cough Drops- From sore throats to an irritating cough, or even for a dry mouth, cough drops are a must have in a cold care kit. 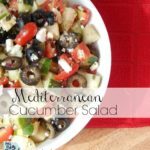 There are so many different flavors and brands just pick the one you like the best! #7- Disinfectant Wipes– My mission when someone is sick is always to prevent the spread of the germs to anyone else! Disinfectant wipes are perfect for wiping down surfaces, video game controllers, door knobs.. You name it! Don’t give the germs a chance to spread by having convenient wipes on hand! 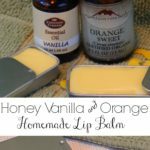 #8- Lip Balm– When blowing your nose, and breathing through your mouth dry your lips out nothing is as soothing as lip balm! I like to keep a couple on hand for sickies so that no one has to share! 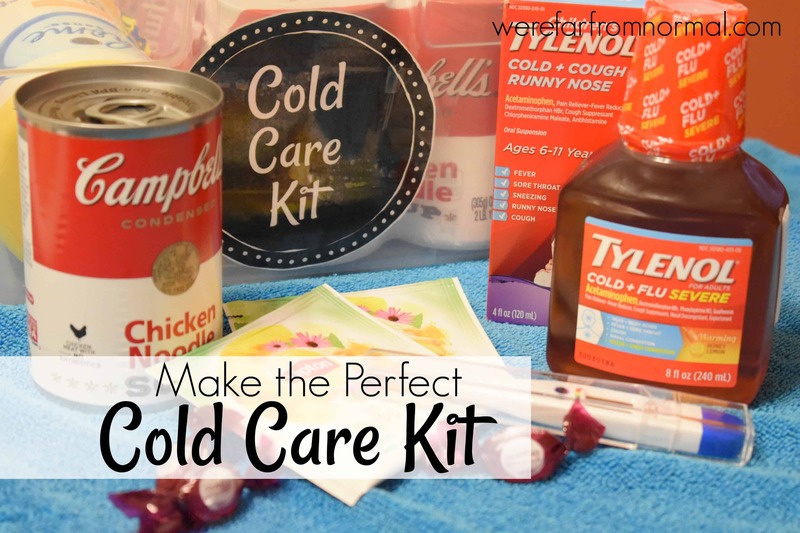 You can pick up everything you need for this cold care kit at your local Kroger, they have everything you need all in one stop! How do you survive cold and flu season? Is there anything you’d add to this cold care kit?? 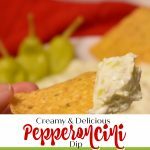 **Campbell’s® – © 2018 CSC LP Lipton – © 2018 Unilever Theraflu – Read and follow label directions. Theraflu is for use in adults 12 years and older. Use products only as directed. TYLENOL® – ®Johnson & Johnson Consumer Inc. 2017. Use products only as directed. The makers of TYLENOL® remind you to use only one medicine with acetaminophen at a time.